Each handle comes with a LIFETIME coating guarantee! The UAP DUO front door handle has a 243mm long backplate, and is aimed at the fabricator who wants to offer a high quality designed front door handle. 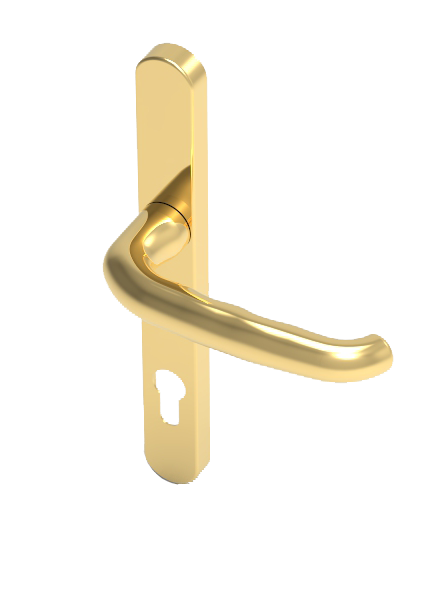 The DUO front door handle has a tube shaped handle, which gives a very comfortable grip when operating. – it allows fabricators to save money as they don’t have to stock a variety of different handles. Each DUO handle is made from 316 grade stainless steel, and is part of the UAP Nanocoast range. The Nanocoast range has been specifically designed for areas which are within a 25 mile radius of the coast, or within 5 miles of highly populated industrial areas. 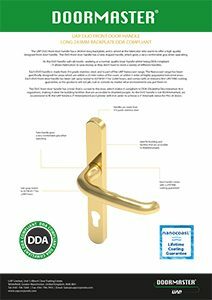 Each DUO front door handle has been salt spray tested to ASTM B117 for 2,000 hours, and comes with an industry first LIFETIME coating guarantee, as the products will not pit, rust or corrode no matter what environments you put them in! 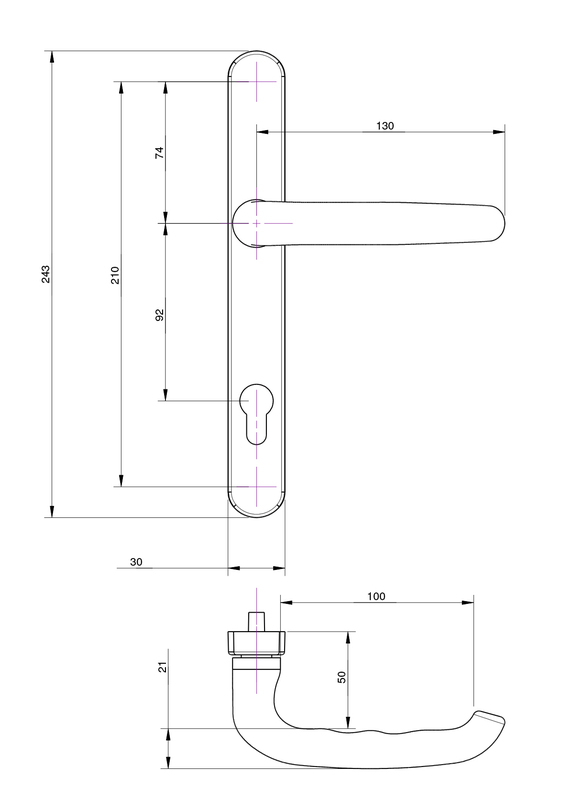 The DUO front door handle has a lever that is curved to the door, which makes it compliant to DDA (Disability Discrimination Act) regulations, making it ideal for building facilities that are accessible to disabled people. 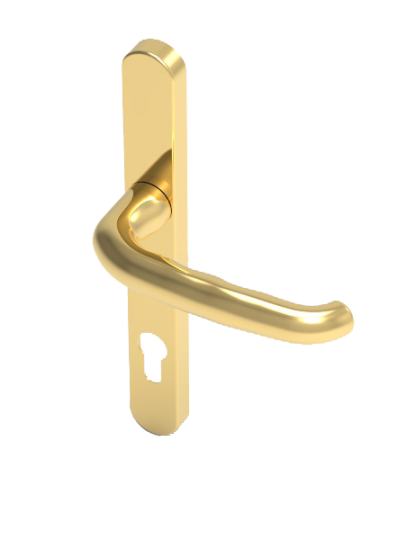 As the DUO handle is not BSI Kitemarked, we recommend to fit the UAP Kinetica 3* Kitemarked Euro Cylinder with it in order to achieve a 3* Kitemark status for PAS 24 doors.